Having been a part of a team which dominated the sport for numerous years, former West Indies wicket-keeper Jeff Dujon admits to being pained by their present-day fortunes. With only the top eight nations gaining automatic qualification for the 2019 World Cup, they are languishing near the border-line and the upcoming ODI series against Pakistan might place them in danger if results do not go their way. Speaking to ESPNCricinfo from London where he was attending a Lord’s Taverners event for wicket-keepers, the 60-year-old also did not believe in the explanation given for Phil Simmons’ sacking and rued the lack of a proper coaching group in the West Indies camp. Dujon’s fears have some significance with West Indies already missing out on the 2017 Champions Trophy in UK after falling beyond the top eight on September 30 last year which was the cut-off date for qualification. For the 2019 World Cup which will also happen in England & Wales, the top seven teams apart from the host nation as of September 30 next year will secure automatic entry. The remaining two spots in the tournament are set to be decided by a qualifying competition involving the bottom four sides as well as the top four from the World League Championship. Following a 0-3 whitewash at the hands of Pakistan in the T20I series, West Indies need to lift their morale quickly as such a score-line in the ODIs will see them swap places with their opponents in the rankings. Without a full-time head coach, the Caribbean outfit are struggling to formulate proper strategies to respond to the slow and low pitches at UAE. 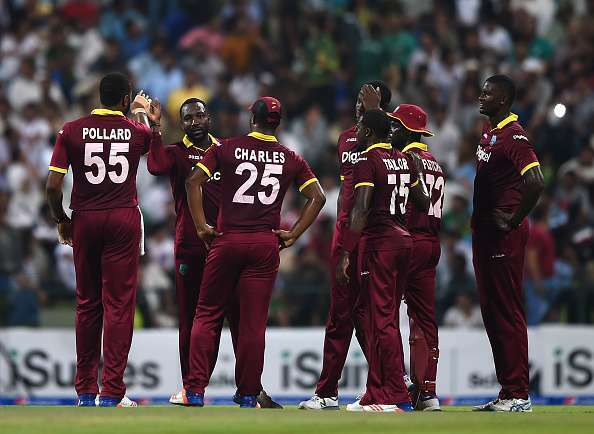 With the ODI series beginning on Friday at Sharjah, West Indies will be aware that massive improvement might be required in all departments of the game if they are to wrest the momentum away from Pakistan.